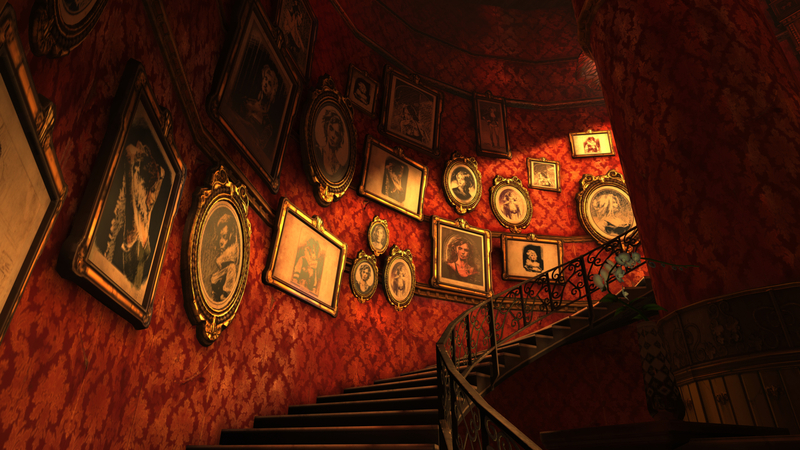 I knew I wanted Dishonored right away. Short of having a tactical turn-based strategy element, this non-linear, stealth-based, RPG steampunk shooter kind of hits all my buttons. That it was made by Harvey Smith, one of the people who helped shape franchises such as System Shock, Deus Ex, Ultima and Wing Commander, is even better. I should probably also mention that it's a ton of fun. Imagine an assassination type game where the player's powers include teleportation, possession and time manipulation. That's you in this game. You play as Corvo Atano, former bodyguard of the Empress, now slain. You've been accused of her murder and are now on the run through the city of Dunwall, a steampunk inspired city run on whale oil and currently suffering under a terrible plague. 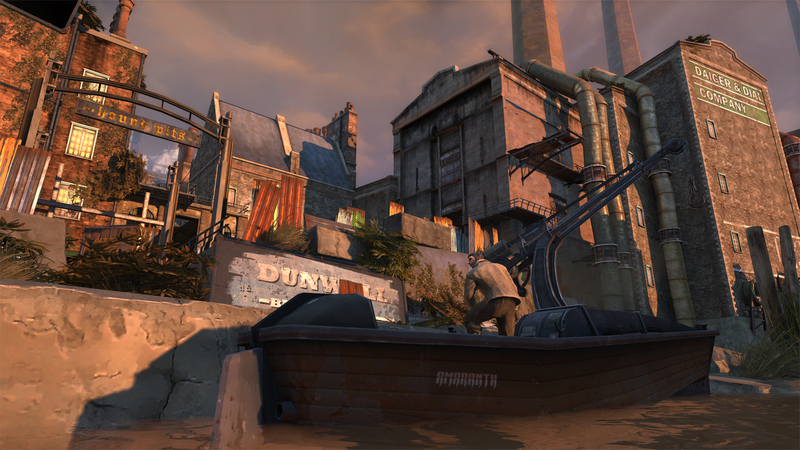 The whole city has a very painterly style and was designed by Viktor Antonov, the designer of Half-Life 2's City 17. 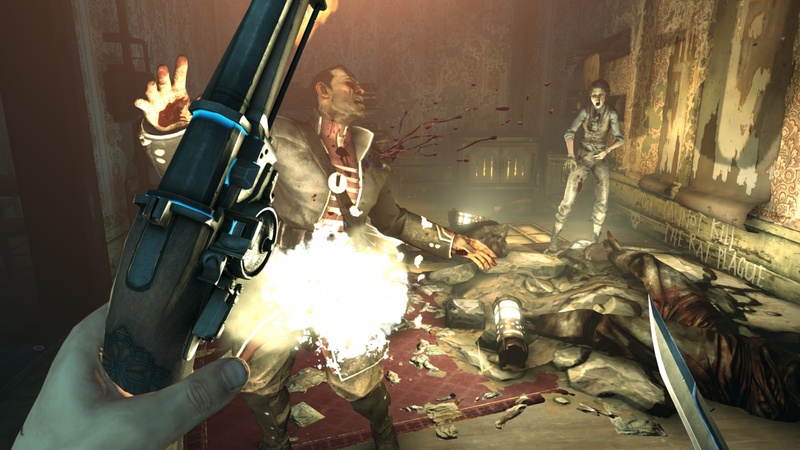 The team from Arkane Studios showed us the same demo two times, once with Corvo playing through as stealthily as possible and once where he went in guns blazing. The basic premise is that you have a score to settle with two high ranking members of Parliament, the Pendelton brothers. They just so happen to be visiting the Golden Cat, a local bathhouse where they're a bit more vulnerable to your abilities. There are so many ways to get in and out of the place. You could walk in the front door, sneak in a side window, teleport on top of the roof, or even project your body into a nearby fish and swim through the sewers before emerging in the spaces beneath the bathhouse. Your dark vision power will let you see enemies on the other side of walls, and even highlight their vision cones so you can tell when and where you're able to sneak by guards. Sleep darts can put sentries to sleep, while stealthy pick pocketing can help you get the keys you need to access restricted areas. The whole game is wonderfully emergent. You can outright kill the brothers, either by locking them in a steam room and opening the valves all the way, or possessing their bodies and walking them out on the balcony where your wind powers can push them over the rails. Or you could simply arrange it so that they end up anonymously working in the slave mines they run. 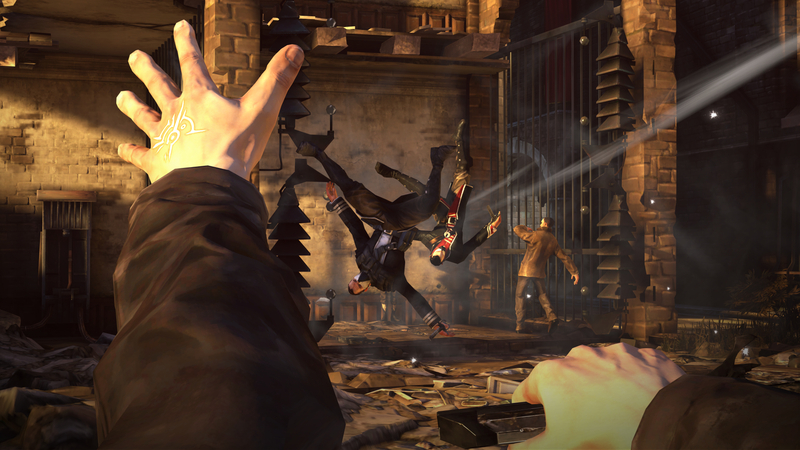 Like Deus Ex, Dishonored gives the player a wide range of options to express themselves through gameplay. Are you a straight ahead death machine who relies on protective powers and firearms to accomplish your goals? Or do you like to sneak in and out without anyone ever knowing you were there? We had a chance to play through a different level using some of these same concepts. My first playthrough was entirely stealthy and I even bypassed some of the obstacles the designers had assumed could not be bypassed. I can always tell a good open world game when it allows players to do things that the designers not only didn't intend, but also never considered were even possible. That the game permits that kind of freedom, to explore and use the tools in ways that aren't restricted by the level designer's intentions, is hugely attractive to me. My second playthrough, I decided to go for the direct approach but I soon found myself in way over my head and unable to use my powers to get myself out of trouble. 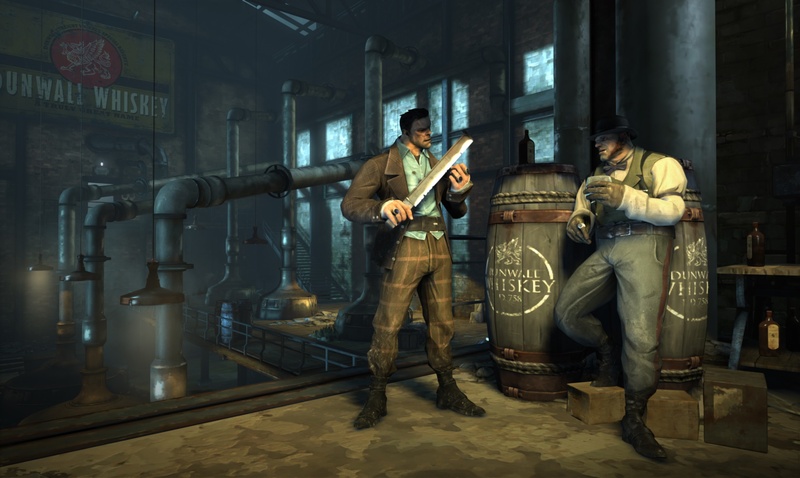 If Dishonored offers more freedom than BioShock and more style than Deus Ex, the one thing it currently seems to lack is the Big Idea that makes each of those other games about more than mere mechanics. It's probably not the kind of thing the designers are prepared to show in such a short demo, but I'm hoping that there's at least some sort of philosophical commentary to help add a bit of weight to the gameplay. Even if there isn't, the supernatural powers, the steampunk setting and the open-ended game world are more than enough to make this one of nicest surprises of the show.